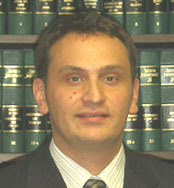 The Director of the Office of Lawyers Professional Responsibility has filed a petition for disciplinary action alleging that respondent Matthew K. Begeske committed professional misconduct warranting public discipline, namely, neglect of a client matter, failure to communicate with the client, failure to prepare a written fee agreement and failure to account for fees received, in violation of Minn. R. Prof. Conduct 1.3, 1.4(a)(3), 1.5(b), 1.15(c)(1) and (c)(3). Respondent admits the allegations of the petition and waives his procedural rights under Rule 14, Rules on Lawyers Professional Responsibility (RLPR). The parties jointly recommend that the appropriate discipline is a 30-day suspension followed by two years of supervised probation. The court has independently reviewed the file and approves of the stipulated disposition. (a)	Respondent shall be conditionally reinstated following the end of the suspension period provided that, at least 15 days before the end of the suspension period, respondent files with the Clerk of Appellate Courts and serves upon the Director an affidavit establishing that respondent is current in continuing legal education requirements, has complied with Rules 24 and 26, RLPR, and has satisfactorily complied with all other conditions imposed by this order. (1)	Respondent shall cooperate fully with the Director�s Office in its efforts to monitor compliance with this probation. Respondent shall promptly respond to the Director�s correspondence by the due date. Respondent shall provide the Director with a current mailing address and shall immediately notify the Director of any change of address. Respondent shall cooperate with the Director�s investigation of any allegations of unprofessional conduct that may come to the Director�s attention. Upon the Director�s request, respondent shall provide authorization for release of information and documentation to verify compliance with the terms of this probation. (2)	Respondent shall abide by the Minnesota Rules of Professional Conduct. (3)	Respondent shall be supervised by a licensed Minnesota attorney, appointed by the Director to monitor compliance with the terms of this probation. Within 2 weeks from the date of filing of this order, respondent shall provide the Director with the names of three attorneys who have agreed to be nominated as respondent�s supervisor. If, after diligent effort, respondent is unable to locate a supervisor acceptable to the Director, the Director shall seek to appoint a supervisor. Until a supervisor has signed a consent to supervise, respondent shall on the first day of each month provide the Director with the inventory of active client files described in paragraph (d) below. Respondent shall make active client files available to the Director upon request. (4)	Respondent shall cooperate fully with the supervisor�s efforts to monitor compliance with this probation. Respondent shall contact the supervisor and schedule a minimum of one in-person meeting per calendar quarter. By the first day of each month during probation, respondent shall submit to the supervisor an inventory of all active client files. With respect to each active file, the inventory shall disclose the client name, type of representation, date opened, most recent activity, next anticipated action, and anticipated closing date. Respondent�s supervisor shall file written reports with the Director at least quarterly, or at such more frequent intervals as the Director may reasonably request. 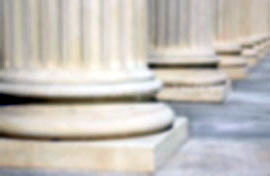 (5)	Respondent shall initiate and maintain office procedures that ensure that there are prompt responses to correspondence, telephone calls, and other important communications from clients, courts, and others interested in matters that respondent is handling, and that will ensure that respondent regularly reviews each and every file and completes legal matters on a timely basis. (6)	Respondent shall maintain law office and trust account books and records in compliance with Minn. R. Prof. Conduct 1.15 and Appendix 1 to the Rules of Professional Conduct. These books and records shall include the following: client subsidiary ledger, checkbook register, monthly trial balances, monthly trust account reconciliation, bank statements, canceled checks, duplicate deposit slips, and bank reports of interest, service charges, and interest payments to the Lawyer Trust Account Board. Such books and records shall be made available to the Director within 30 days of the date of entry of this order and thereafter at such intervals as the Director deems necessary to determine compliance. (c)	Respondent shall successfully complete the professional responsibility portion of the state bar examination within one year of the date of filing of this order. (d)	Respondent shall pay costs of 0 pursuant to Rule 24(a), RLPR. (e)	Respondent shall comply with Rule 26, RLPR (requiring notice of suspension to clients, opposing counsel, and tribunals).